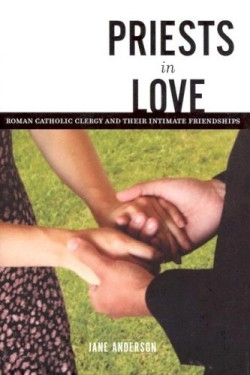 This book is a collection of the stories of more than fifty priests who developed intimate connections, despite papal decrees forbidding such relationships and the church’s attempts to suppress them. The stories of these men are poignant. Anderson began research for the book in 1995 because she was moved by the plight of successive short-term priests in her rural Australian parish. She felt that compulsory celibacy contributed to the collapse of these dedicated clerics. Through correspondence and personal interviews over a number of years, she developed these stories. Father Luke, in his story, is angrily dismissive of celibacy as a tradition, pointing out that the Church did not burn other Christians until about the time that celibacy became mandatory in the twelfth century. Anderson’s book is a sympathetic interpretation of the stories of priests injured in the battles over celibacy in the priesthood and a worthwhile read for anyone interested in the topic. With a helpful appendix providing website addresses of several reform and support groups, the book is well footnoted with both church and secular academic sources, but it reads like a moving novel rather than a sociological treatise. Those looking for a neutral academic treatment of the subject would be better served looking elsewhere.